The XBRL International Board of Directors serves as the primary Governing Body of the Corporation as a not-for-profit membership corporation under Delaware General Corporation Law. The Board of Directors is comprised of senior leaders and experts with broad international experience in financial, business and regulatory reporting, accounting and standard setting. The Board advises and assists in executing strategic opportunities, identifies critical regulatory and accounting convergence trends for which the XBRL standard could be used as a solution, and develops long-term growth and sustainability strategies for the XBRL consortium. Robert M. Tarola, Chair is President of Right Advisory LLC, a consulting firm formed in 2008 which offers a unique perspective to address business and professional challenges of operating executives, governance bodies and finance professionals. Mr. Tarola has extensive experience as a public company director, public company CFO and public company auditor. He is a US CPA & CGMA and a member of the PCAOB Investor Advisory Group. He has followed XBRL development and implementation since 2005 as a member of the AICPA Assurance Executive Committee and as a participant CFO in the US SEC’s voluntary filing pilot project. Mr. Tarola helped to implement XBRL as a director and audit committee member for two public companies and, finally, he encouraged the PCAOB to utilize XBRL as a way to connect auditors with data used by financial analysts. Hans Buysse, Vice Chair & Treasurer is Senior Partner at SynCap-Clairfield International, Dept President of Belgium Assoc. of Financial Analysts, Member of the EFFAS EMC, ACIIA Exec. Board Member, and a Member of the ESMA Corporate Reporting Standing Committee Consultative working group. He is a board member of XBRL Europe and head of its Usability Working Group. 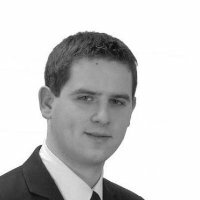 Hans has extensive experience in financial analysis, M&A and Structured Finance. 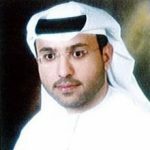 HE Mohammed Al-Hadari is the Emirates Securities and Commodities Authority’s (SCA) Deputy CEO for Organizational and Support Services, at the level of an assistant undersecretary of a ministry and Chairman of XBRL UAE. Mr Al-Hadari has more than 20 years of professional experience in Strategic Planning, IT, Human Resources in the UAE’s government sector, where he assumed a variety of positions with the Department of Economic Development of the Emirate of Sharjah in the UAE before joining the SCA. Mr Al-Hadari’s interventions were instrumental to the success of several initiatives on a federal level in the UAE, namely the e-filing initiative which he lead from the start in order to establish a jurisdiction until recently fully implementing the XBRL based e-filing system. Also, Mr Al-Hadari was behind the initiative to make XBRL e-filing mandatory to all listed companies and brokers in the UAE. Finally, Mr Al-Hadari continues to support and push for availability, reliability and comparability of financial data as a means to enhance transparency in financial markets. Leng Bing is a director at the Accounting Regulatory Department, Ministry of Finance, China (MoF). He has served at MoF for over 10 years and has been engaged in XBRL International activities for 8 years. He oversees Chinese accounting standards for financial instruments, which are substantially converged with the IFRSs. Chao Li is a partner in PwC China/HK and is the XBRL subject matter expert in the firm. Chao works with Regulators in China including Ministry of Finance (MOF), China Banking Regulatory Commission, Chinese Securities Supervision Commission, China Insurance Regulatory Commission as a technical advisor to promote the development and application of XBRL in China. Chao is also experienced in providing XBRL regulatory reporting services to many listed companies in China. Chao has been working within the XBRL global community since joining the BPB of XBRL International in 2012, equally Chao has made presentations in a number of XBRL International conferences introducing new developments in XBRL in China, some of which have had a much broader impact on the global community. Olga Goncharova is Director of the Reports Processing Department at the Bank of Russia. Olga joined the Bank of Russia in 2014 and is currently responsible for the collection and processing of financial statements of credit and non-credit financial institutions. Olga is also responsible for the implementation of modern formats for digital reporting and data transmission, including implementation of the XBRL standard in the Bank of Russia. Olga previously worked for UniCredit Bank as a Chief Accountant and the Head of Accounting Department. She was responsible for financial and regulatory reporting for the local purposes and in accordance with UniCredit Group requirements. In 2012 Olga participated in the Basel III implementation project at the UniCredit Group Holding Company in Milan. 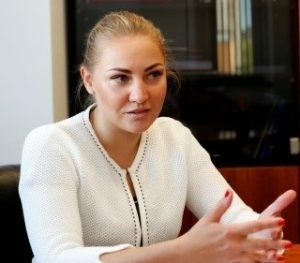 Earlier with Ernst&Young Olga obtained extensive experience in auditing financial institutions (banks, leasing companies and investment funds) according to IFRS and Russian accounting standards. Olga is a multi-lingual CPA, qualifying in 2008. Olga earned a French-Russian MBA in International Management at Moscow State University in 2002 and attended Yuvaskula Polytechnic School of Business, Finland to study Global Business management in 2001. Olga has been a member of the Supervisory Board of XBRL Russia since 2017. 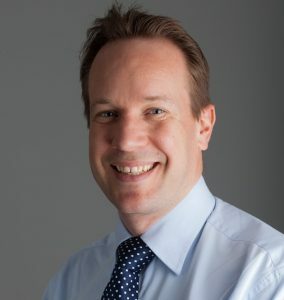 Philip Fitz-Gerald became Director of the UK’s Financial Reporting Lab (part of the Financial Reporting Council) in 2017. He is a Chartered Accountant in the UK with over 20 years of experience in accounting and audit, focusing on improving the quality of company reporting. He has worked for the Financial Reporting Council since 2009 and was previously the Head of Case Examination and Enquiries. Phil started his career in the audit practice of KPMG where he spent ten years, the latter half of which he worked as a senior manager in the firm’s professional practice department. After leaving practice, he spent five years as a training consultant helping companies with their corporate reporting requirements before joining the FRC. Karla McKenna is an international standards specialist in the area of financial services. She is director of Market Practice and Standards at Citi and in this role drives development and adoption of financial services standards for Citi’s Securities businesses. 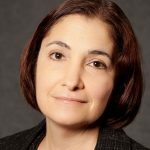 Ms. McKenna serves on the Board of Accredited Standards Committee X9 (ASC X9) and is a member of the inaugural Board of the Eurofiling Foundation. In May 2015, Ms. McKenna began a secondment to the Global Legal Entity Identifier Foundation (GLEIF) as the Head of Standards for the GLEIF. Ms. McKenna chaired the International Organisation for Standardisation Technical Committee 68 (ISO/TC 68), Financial services, from 2006 to 2018 and continues work with the committee in the areas of regulatory use of international standards and on the refinement of reference data standards. Ms. McKenna is Immediate Past Chair of the Securities Market Practice Group (SMPG) and also has served on the Boards of the International Securities Association for Institutional Trade Communication (ISITC) and previously was a member of the XII Board in 2012. Michal Piechocki is the Chief Executive Officer of the Business Reporting – Advisory Group leading its global operations and advising international governmental and supervisory institutions on adoption of XBRL. His expertise contributed to projects across the world and supported various applications including specifically banking, insurance and capital market supervisory implementations of the Data Point Model and the XBRL standard. Michal serves as a Member of the XBRL Quality Review Team (IASB) and of the Institute of Management Accountants XBRL Working Group. Michal served previously as an At-Large Member at the XBRL International Steering Committee and Chair of the XBRL Certification Committee. Beju Shah is Head of Data Collection and Publication in Technology at the Bank of England. Over the past several years he has been at the forefront of where financial regulation meets technology, leading the technical implementations of all major regulations since the financial crisis as well as the digital transformation of regulatory reporting at the Bank of England. Beju has a background in Artificial Intelligence, and has designed several expert systems for various research projects. Beju’s career began working for a boutique consulting firm eventually leading a digital line of business with insurance and public sector clients, earning a place in the Top 100 digitial agencies in its first year. In 2010 he joined the Financial Services Authority, implementing Solvency II and then moved to the Bank of England in 2012. Beju is accountable for the design, delivery and ongoing management of all data collection projects and systems. Yoshiaki Wada joined the Bank of Japan in 1982. He worked for the Statistics and Economic Research Department, the IT System Department and for the Secretariat for Policy Board, Financial Systems and Bank Supervision Department. In 2010, Wada san joined NTT DATA Corporation, and currently works for the development of new financial technologies including XBRL, XML, J-SON and related solutions in the Digital Strategy Section of Financial Segments. 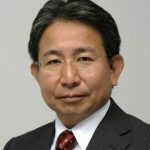 Wada san is Chair for the XBRL Asia Round Table and also a board member of XBRL Japan.